The BPR stage 1 Package increases power of your stock GTR 90 WHP and 80 WTQ. Our BPR Stage 2 Package increases the power output of your stock GTR and extra 140 WHP and 160 WTQ!! The most complete GT-R tuning solution on the planet! The most complete GT-R tuning solution on the planet! Looking to add E85 Ethanol to your GTR? This is the most optimal and safe way to utilize Ethanol, which can have wide swings in ethanol content between gas stations. 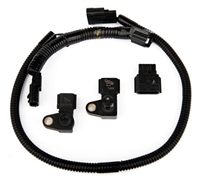 Boost Logic’s Plug & Play Speed Density Kit allows you to plug in their new harness which transfers the intake air temperature reading from the intake pipe to the upper intercooler pipe. This provides accurate temperature readings for a Speed Density based engine program. This is the CBRD specific Nissan R35 GTR Speed Density Conversion Kit. Speed By Design Speed Density Conversion Kit for the R35 GTR. 100% Plug-N-Play. 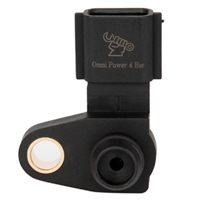 AEM Bosch Wideband/O2 Replacement Sensor. 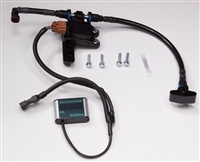 The Alpha MAP Sensor is a solid, plug and play solution for precise boost control over 24 psi for your 2009+ GTR. 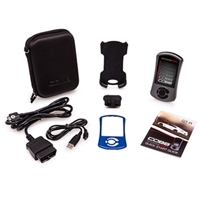 Plug and Play upgraded 4 Bar MAP sensor for your R35 GT-R. Plug and Play Speed Density Bundle for your R35 GT-R. Ideal for drag racing use, the Syvecs 4WD Controller allows users to put his/her R35 GTR in rear wheel drive mode for short burnouts.